Welcome to the Unofficial Snooker Rules site. Here in Canada, we don't have access to the excellent referee associations available outside North America, As a result, qualified referees in this country are few and far between, and snooker played here is usually played to rules that qualified referees would find lamentable. Very few players know the rules, and fewer are competent to interpret situations on the table and make the correct call. Kevin Patrick, our Head Referee here in Canada has formed an organization called R.A.C.C.S. to try to change this situation and encourage the game to be played properly. As one of the referees in Canada, my goal with this site is to help him by spreading a better understanding of the game and its equipment, so that Snooker will be played by the rules even if a qualified referee is not available. Perhaps I will encourage more players to become referees. I hope so. Snooker Canada is bringing Michaela Tabb over from England to teach a Snooker Canada Certification Course in Richmond, BC, on the 14th and 15th of March, 2019 and also on the 16th and 17th, 2019, in Markham, Ontario. 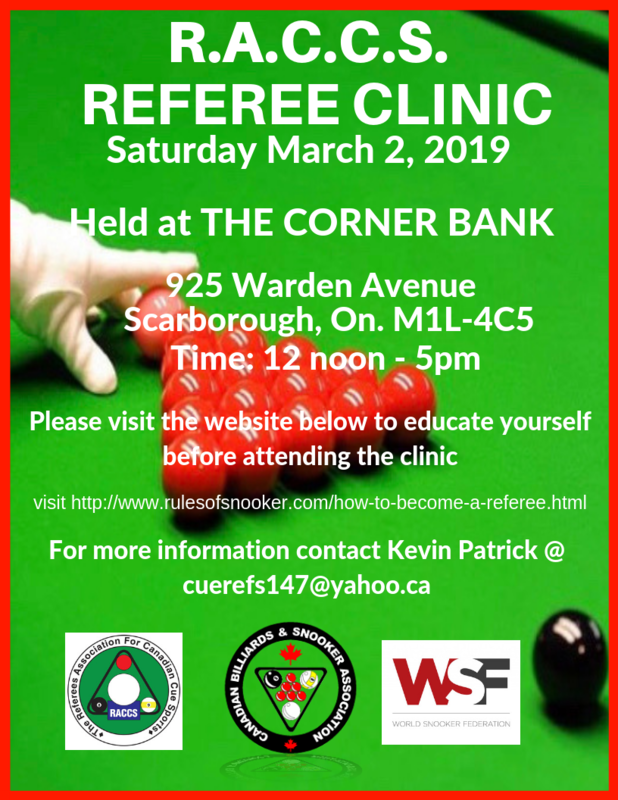 Posted on January 1, 2019 by Snooker Canada in HeadlinesHave you ever thought about becoming a snooker referee? Celebrity Scottish referee Michaela Tabb, the first female to ref a World Championship, is coming to Canada in March to conduct some referee clinics. 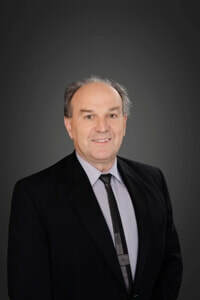 Legendary Canadian referee Bob Hargrove, from New Brunswick, will supervise the certification in Ontario and long time veteran Len Homenchuk will do the same in British Columbia. Please follow the link below to get full information. There is an opportunity to attend a Referee Training Clinic on March 2nd, 2019 in Toronto, Ontario. There will be a limit of 6 participants and the starting time is 12:00 noon and should run for about 5 hours. If you are interested please take the time to read all of the information required at the site. If you do not take the time to review the information the clinic won't be as useful.